Kathmandu is the capital city of Nepal and an incredible destination for cultural tours. It is a valley surrounded by four hills- Fulchowki, Chandargiri, Shivapuri and Nagarjun. 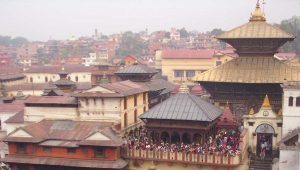 Kathmandu Valley has three major cities such as Kathmandu, Patan and Bhaktapur. The Kathmandu city is home to seven UNESCO World Heritage Sites and lies at an altitude of 1,350 meters above sea level. They are namely Kathmandu Durbar Square, Patan Durbar Square, Bhaktapur Durbar Square, Pashupatinath Temple, Changu Narayan Temple, Swoyambhunath Stupa and finally Boudhanath Stupa. Before the unification of Nepal in the 18th century, the three cities were independent states ruled by the Malla Kings. Kathmandu is the major city in the Kathmandu Valley. 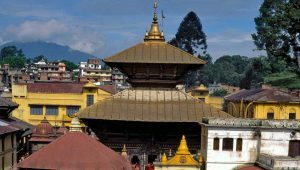 The city is home to four UNESCO World Heritage Sites- Kathmandu Durbar Square, Pashupatinath Temple, Swoyambhunath Stupa and Boudhanath Stupa. There are other popular landmarks such as Ranipokhari, Dharahara, Sundhara, Ghantaghar, Singadurbar and Budanilkantha among many. However, many of the archaeological sites are badly damaged by the massive earthquake in 2015. Kakani, Sundarijal, Sankhu, Balaju Park, Chovar and Shivapuri-Nagarjun National Park are among the major getaways in Kathmandu. Lalitpur or the city of fine arts (literally) is another culturally rich city in the Valley. Lalitpur is home to Patan Durbar Square, the seat of ancient Malla rulers of the city which is rich in medieval art and architecture. The palace complex itself is a UNESCO World Heritage Site. The palace is famous for its courtyards- Sundari Chowk and Keshav Narayan Chowk. Likewise, the stone-made Krishna Temple, Royal Bath (Tushahity) and the museum are other attractions in the palace square. Lalitpur is also famous for monasteries including the Hiranya Varna Mahavihar and Rudra Varna Mahavihar. Other attractions in Lalitpur are Rato Machhindranath Chariot procession, Ashokan Stupas, Kumbheshwor Temple and Central Zoo. Major getaways in the district are Godawari Botanical Garden and Fulchowki Hill. palace complex is rich in its medieval art and architecture. Major landmarks in the palace complex are Golden Gate, Pachapanna Jhayale Durbar (55-window palace), Nyatapola, Dattatreya Temple, metal and woodcraft museum. Nagarkot and Changu Narayan are popular getaways in Bhaktapur. The form of greeting in Nepal is ‘Namaste’ and performed by joining the palms together. Before entering a Nepalese home, temple and stupa, remember to take off your shoes or sandals. Do not eat from other people’s plate and do not drink from other’s bottle or glass. Similarly, do not offer them food from your plate and water from your bottle. Seek permission before entering a Hindu temple. Many Hindu temples do not allow foreigners to enter inside the temple. Always try to discourage beggars and hawkers. Avoid touching offerings or person when they are on the way to religious shrines. Avoid kissing and hugging in public especially between men and women. It may become a social offence in most of the areas of the country. Opt for eco-friendly journeys and use responsible travel company. Encourage porters and other trekking staffs to save the natural environment. 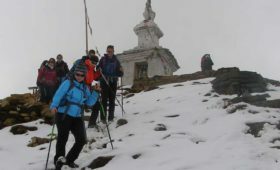 Use only registered Trekking Agency for remote area trekking and always use a local guide for multi-day and high altitude treks. 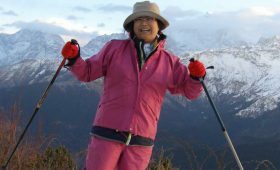 Organize necessary trekking permits beforehand. Airport Transfer: There is a fixed rate taxi service from Kathmandu airport to the city centers like Thamel. It is available almost round the clock. Private Car: Travel Agencies and Hotels offer the 24-hour private car service. The fare is slightly higher than the fixed rate taxi. For sightseeing and long tours out of Kathmandu, it is a good idea to rent a vehicle through a Travel Agency. Around Town: Meter-taxis can be hailed on the streets. The charge for meter is based on per kilometer. There is an extra 50% charge from 8PM to 6AM. Hired Motorbike: Motorbike for hire is generally available in Thamel. The hiring service provider may seek for a document like Passport as a deposit. Helmet is compulsory while driving and provided by the rental firm. Rickshaws: Two seated tri-cycles are the most interesting way to travel around Thamel and Kathmandu Durbar Square area. They are useful for shorter trips only in the area where cars can be a problem because of the narrow lanes and crowded market place. It is better to negotiate the fare beforehand. 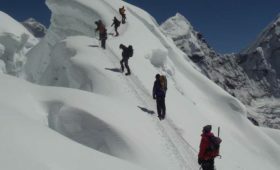 For trekking lovers- Everest region, Annapurna region, Langtang region are the most popular destinations in Nepal. There are other popular areas in west and east Nepal. 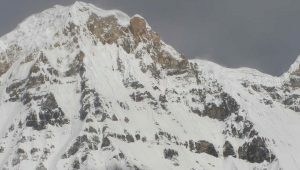 Manaslu and Mustang have become the highly emerging destinations these days. Should you have questions on any topic or need to plan a trip, you may contact us via email.